PHOENIX, AZ — 2020 Women On Boards (2020WOB.com) has announced its 2017 national initiative, “Building the Pipeline: How Do We Prepare Ourselves and Find Director Opportunities.” 2020 WOB is a grassroots campaign to raise the percentage of women on US company boards to 20% or greater by the year 2020. 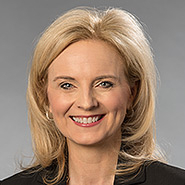 Nicole Stanton has been selected to participate on the Phoenix steering committee, as part of the National Conversation on Board Diversity, The 2020 WOB 2017 event will be held on November 15, 2017 in cities across America for C-Suite and senior level executives interested in serving on or recruiting female board of directors. Phoenix chairwoman, Sharon Lechter, is an international leader for the promotion of women executives. “Our steering committee is made up of highly distinguished Arizona women. We are raising awareness and continuing the momentum in support of national and global brands that are committed to having 20 percent or more of their board seats held by women,” says Lechter. Diversity in the boardroom is a global priority of those responsible for board development in major corporations. The results of research conducted by Women In the Boardroom (WIB - New York, NY), shows that women are motivated by the challenge of corporate board service and are encouraged by the growth of resources available to help facilitate their success. Over 6,000 people have attended national Women On Boards events in cities across the US, with thousands more joining in on social media. 2017 marks the sixth anniversary of The Conversation, and will celebrate companies committed to diversity in the boardroom as well as continue to open doors for qualified and aspiring candidates. For More Information visit SharonLechter.com/2020WOB and WOB2020.com or contact Phoenix Chairwoman Sharon Lechter at [email protected].